The senator from Vermont has now won 17 contests—including eight of the last nine match-ups. It’s a measure of the durability and the democratization of the 2016 Democratic presidential race that Saturday’s Wyoming caucuses were a big deal. For all the talk about the inevitability of Hillary Clinton’s candidacy, the Democratic race remains an unsettled and ongoing contest. That is why Vermont Senator Bernie Sanders celebrated last Tuesday’s Wisconsin primary win in Laramie. And that is why former President Bill Clinton—the Clinton camp’s surrogate in chief—campaigned Monday in Cheyenne. Both campaigns made unprecedented efforts in a state that has backed only two Democratic presidential nominees—Harry Truman in 1948 and Lyndon Johnson in 1964—since the end of World War II. But it was not Wyoming’s 14 pledged delegates that made it a battleground state in the Clinton-Sanders contest. What made Wyoming matter was the desire on the part of the Sanders campaign to extend a multi-state, multi-week winning streak, and a desire on the part of the Clinton campaign to interrupt that winning streak before the critical New York primary on April 19. 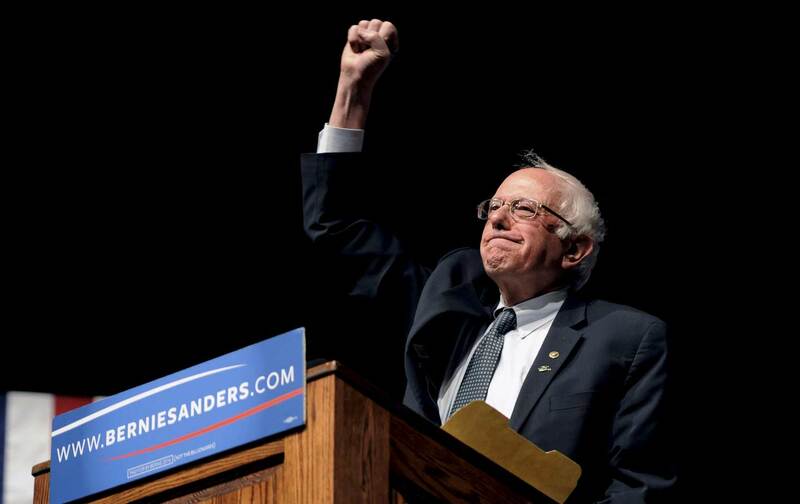 From March 22 through Saturday morning, Sanders had won seven of eight contests—losing only the Arizona primary. The Sanders wins had not been close; indeed, in many cases they had been landslides. On Saturday, the senator made it eight out of nine, with a decisive win in Wyoming. Sanders took 56 percent of the vote to 44 percent for Clinton, for a 12-point margin. The senator won 10 counties to five for Clinton. (Eight counties registered ties.) One county, sparsely populated Niobrara, voted 100 percent for Sanders; and in several counties he won over 75 percent. Thanks to arcane rules for allotting pledged delegates, a win is only sometimes a win, and in Wyoming Sanders and Clinton finished the day with seven pledged delegates each. That frustrated the Sanders camp and delighted the Clinton’s team—just as the allotment of Wyoming delegates frustrated backers of Barack Obama in 2008, after his 62-38 win in the state yielded only a 7-5 division in his favor. This year, there was some grumbling about the Clinton camp’s focus on “surrogate ballots” (absentee voting) in Laramie County. And, as has been the case in many states, there were complaints about how super-delegate support would give Clinton a majority of the convention delegates from a state that gave lopsided support to Sanders. The delegate count does matter. But so, too, does the momentum count. And the Wyoming win helps Sanders in this regard — in itself, and as part of a pattern. The senator has now won 17 contests, as compared with 20 for Clinton. The closing of the gap in recent weeks has been striking. The delegate math still favors Clinton (1,305 to 1,086 among pledged delegates, 469-31 among superdelegates, according to the latest New York Times count). But Sanders’s winning streak in recent caucuses and primaries has given the his camp space in which to argue that the senator could catch up to Clinton in the race for pledged delegates to this summer’s Democratic National Convention—and about how superdelegates might be encouraged to switch their allegiance, as many did in 2008. The Wyoming win also adds to the momentum math that Sanders has been celebrating in recent days. It is this momentum that says the Democratic race will go on—through New York and Pennsylvania and on to California. “No question in my mind that we have the momentum. Some of the polls out there are reflecting that momentum,” said Sanders, who has narrowed the polling and delegate gap since mid-March, when Clinton was coming off her own winning streak. Clinton still has the advantage. She is still the front-runner. But she is, also, still in a very real contest with an insurgent challenger who keeps on winning.